A few weeks ago, I came across this video published by Teresa Down Under. A simple and fun little process for making hexagon blocks. I love the block so much, I have added it to my 2019 Rainbow Challenge. 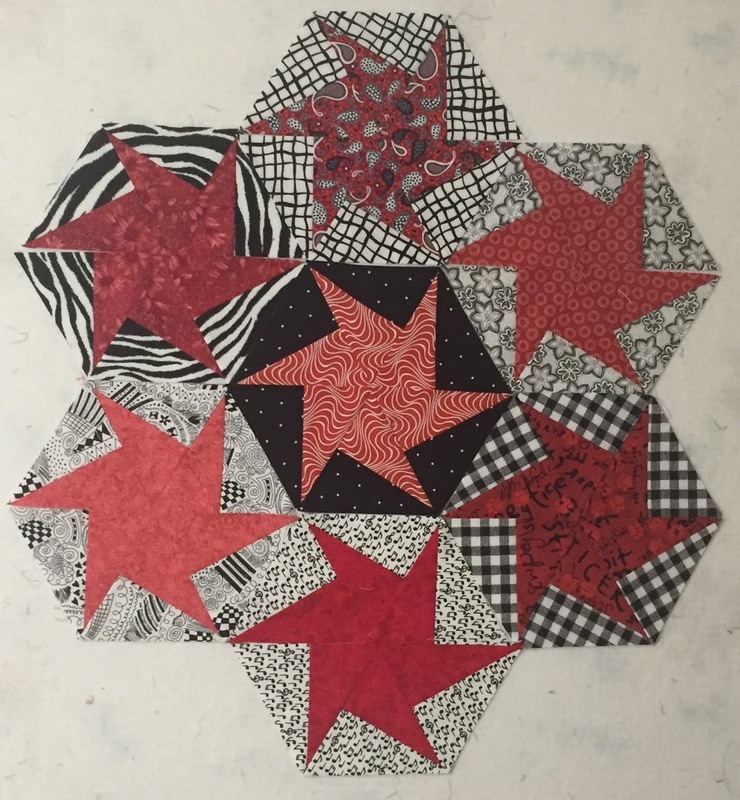 This talented designer has several videos and patterns available. Linking up with: 2019 Rainbow Challenge, So Scrappy. I love your hexagon blocks--what a perfect choice for the RSC! These are great! 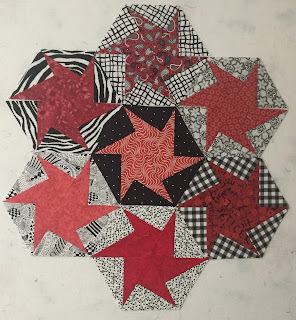 Will add this variation to a hexagon quilt I have in progress. Thanks for sharing. What a fun block. Hexagons are such a great shape. I hope that you get to sew them in halves to avoid the inset seams. Those blocks are SEW cool!!! They look like RED spinning stars. I'm looking forward to seeing what design you chose to set them in for your RSC quilt. Cool block, Jamie! I look forward to seeing all your rainbow versions of it this year! Nice block! I like the spinning star and your black background makes the stars pop!